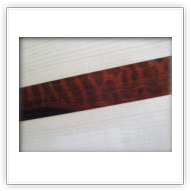 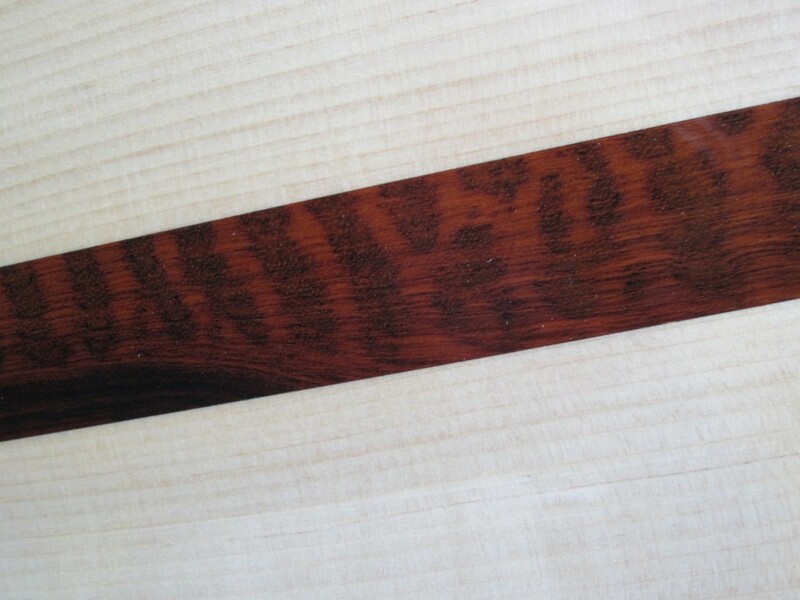 The Snakewood/Cypress Dome has the headplate, fingerboard, pickguard, bridge and back inlay in snakewood. 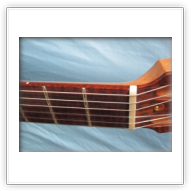 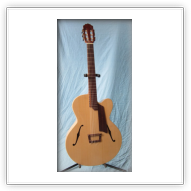 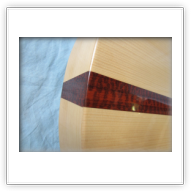 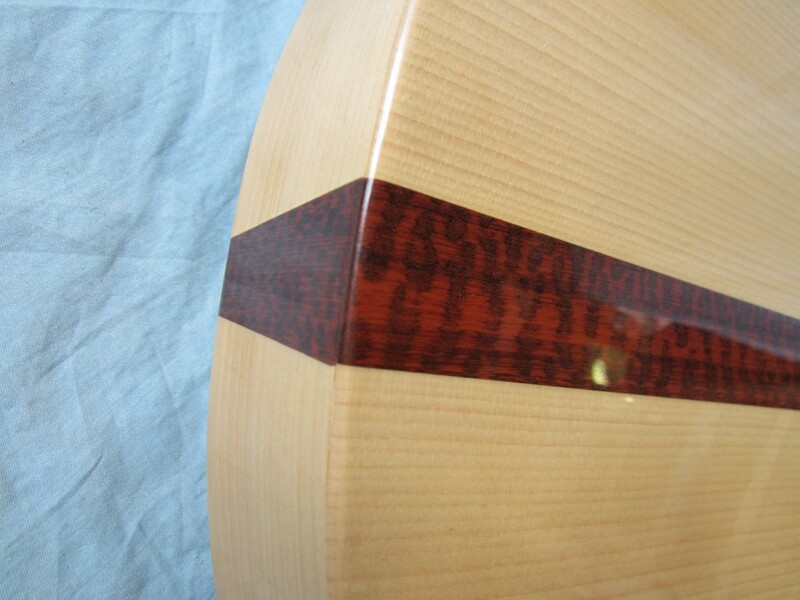 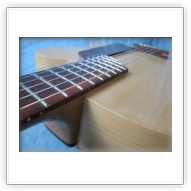 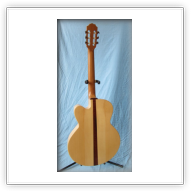 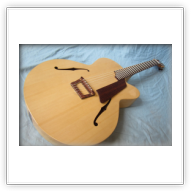 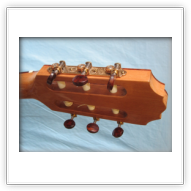 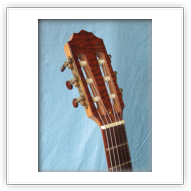 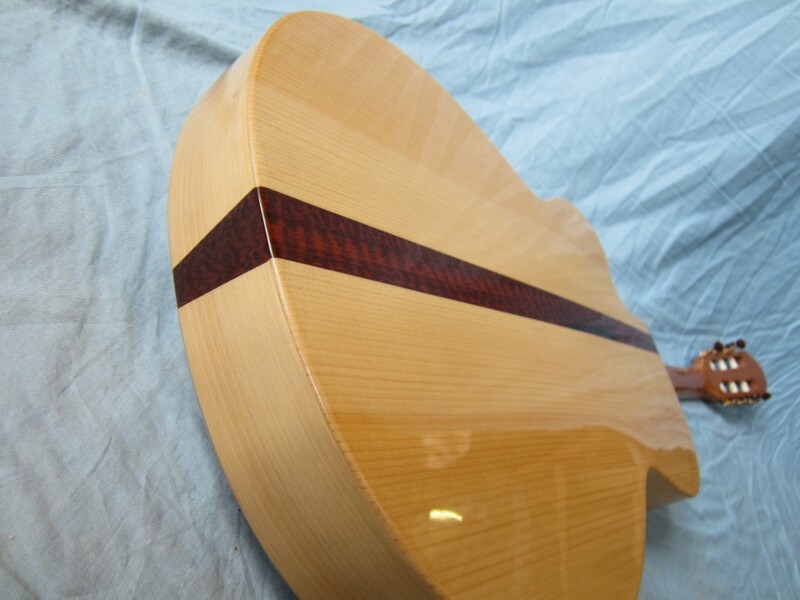 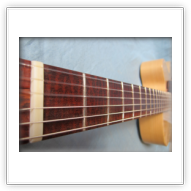 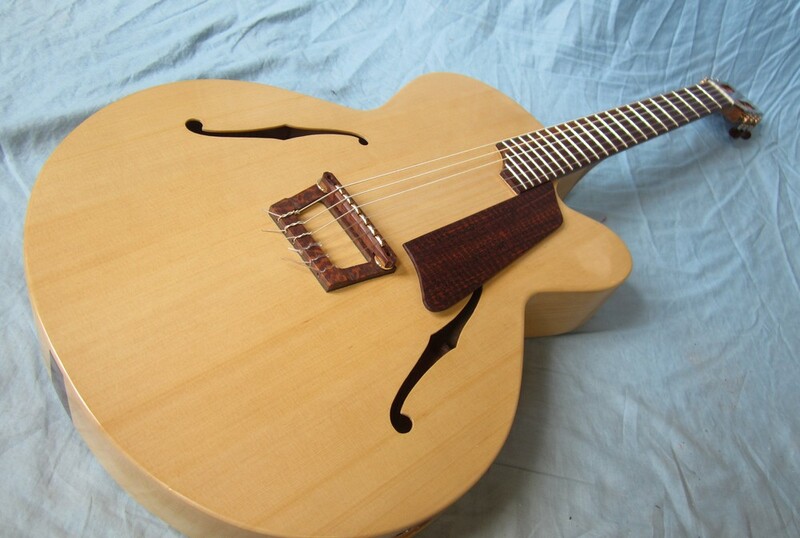 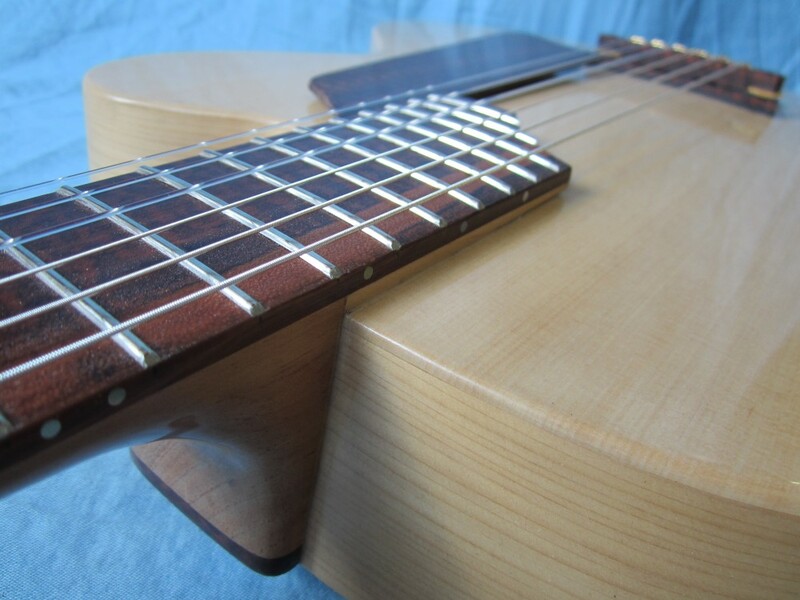 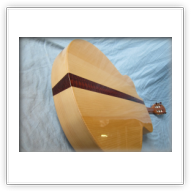 The guitar is made with Spanish cypress back and sides, and old growth Port Orford cedar top. 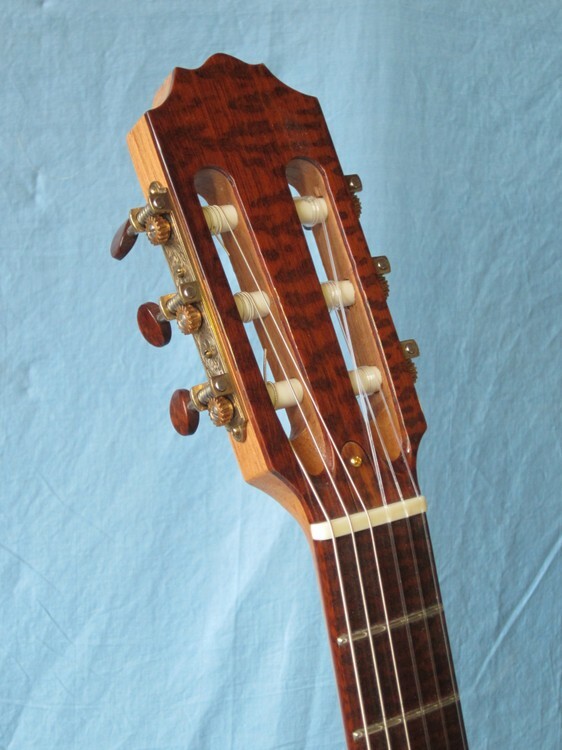 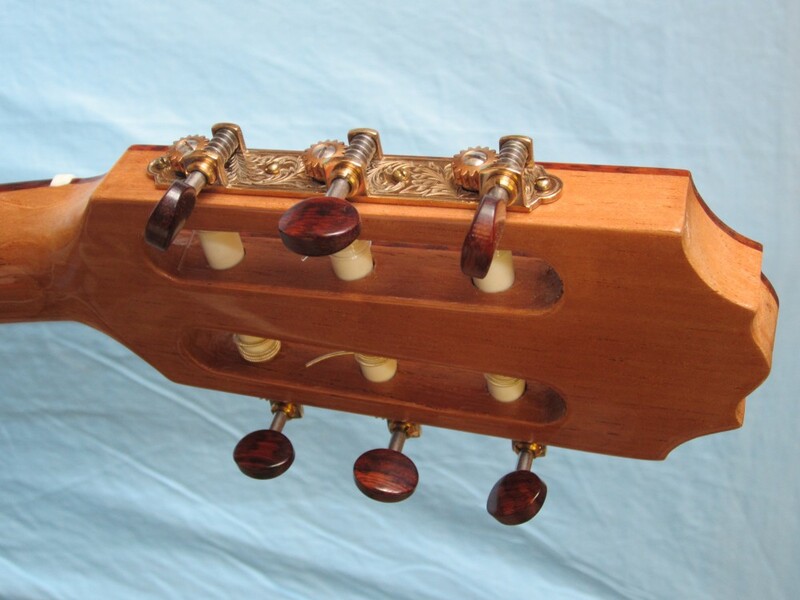 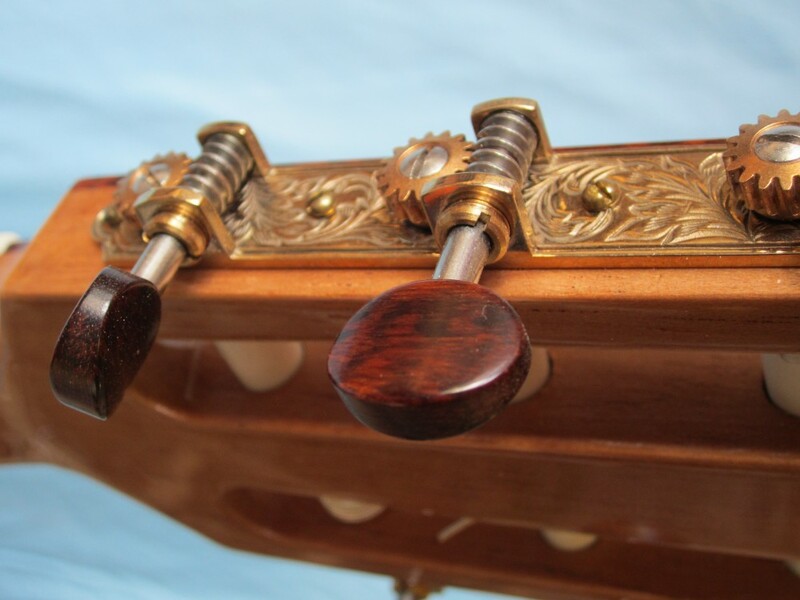 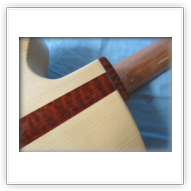 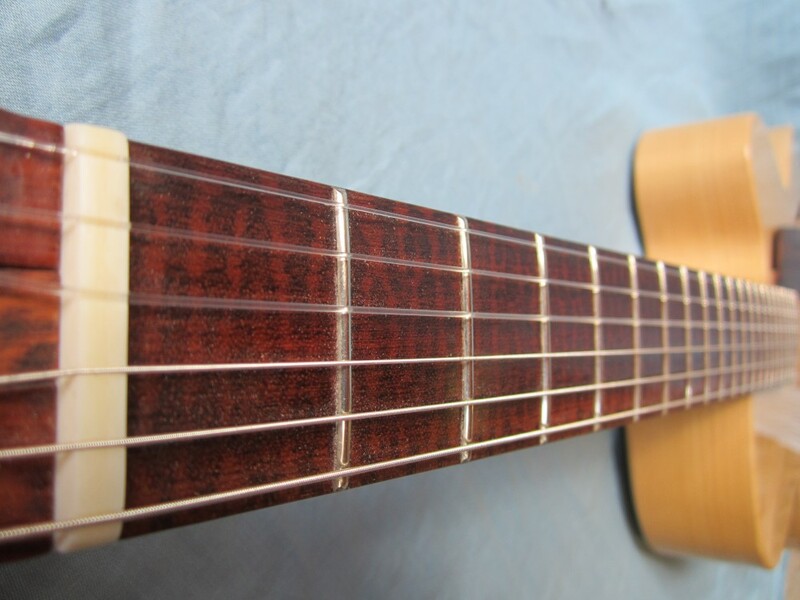 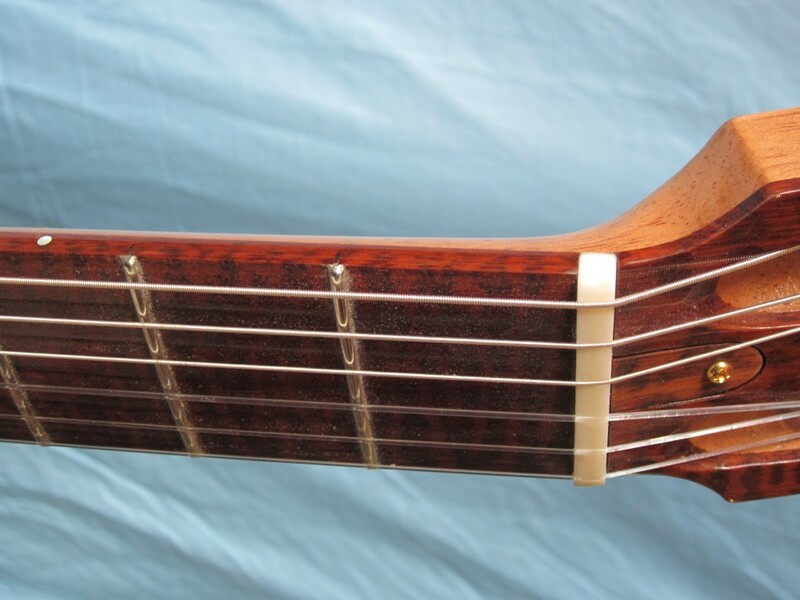 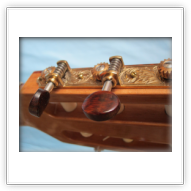 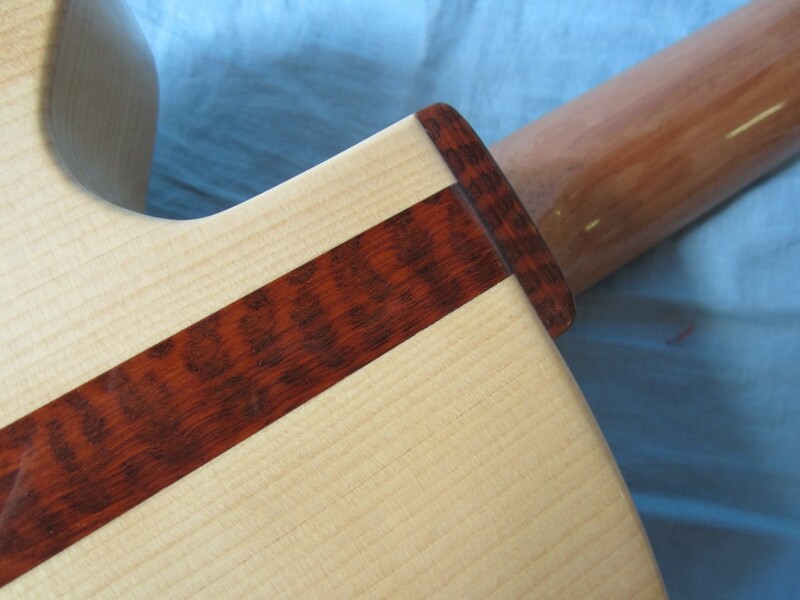 Tuners are Waverly’s with.......... snakewood buttons!